"bunch of crazy white people... ": 159. 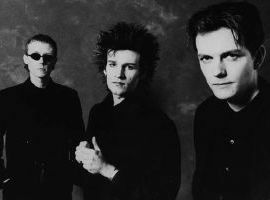 Love & Rockets, "So Alive"
159. Love & Rockets, "So Alive"
July 4th, 1989. Greeley, CO. I'm watching a long stretch of classic cars roll down the street to this song as part of the parade. Seemed goofy then, seems goofy now.